A Cornish Mining Cook Cover- must be an engine house! There has been a slight pause in the South Caradon posts whilst I divert my attentions to finishing off a little gem of 19th Century mining history. South Caradon is not been pushed completely into the wings however, for it makes an appearance on the book cover. John Taylor’s pamphlet on the Devon and Cornwall mining industry gives a great introduction to what was known as the ‘Cornish System’, a management and financial system used by mines all over the world that ca me under the influence of Cornish miners. A talk I gave on John Taylor (that is the Norwich born mining genius, not the 1980’s guitarist) prompted me to bring some of his words back into print, and so I republished his 1814 book in the Kindle format . I have had requests by non-Kindle readers to make a hard copy available, and that version is now nearing completion. Here is the first draft of the cover. The original intention of not following the well trodden route of ‘Cornish Mining Topic= Engine House’ rapidly became overturned as I delved through my image store. Over and over again the images that stood out and the same theme, a Cornish engine house. Despite the thousands of images of shafts, tips, adits, stopes, buddles, and winzes it was only the engine house images that shouted out “Cornish Mining”. Cornwall has been gifted with structures whose distinctive silhouettes are bold and simple trademarks of its history and identity. There are few other man made landmarks around the world that form such an easily recognizable symbol. It is a feature that can be depicted in dramatic landscapes or simplified to a black and white icon. It can be placed on books, on gifts, in paintings, on road signs, on trade marks, on car stickers, and the message is clear. And so, the book cover used an engine house, it says far clearer than any other image I could find that this is a book about Cornish Mining. In my defense, I must add that it is not the stereotypical view of a Cornish Engine house; the chimney is not visible, the walls are tumbled and there are no dramatic sea views. Instead snow lies on the ground and waste tips form the background. The engine house is Sump Shaft pumping engine at South Caradon Mine. Follow this blog for more information about the new book. No new South Caradon Mine information this post; instead I have put together an index of posts so far. The page will expand as this series of posts continues on its journey into the depths of the old ‘Views of South Caradon’ website. As it expands the listing will be grouped, sorted and arranged into a structure that will provide a useful resource for anyone wishing to know more about this important copper mine in South East Cornwall. Meanwhile I have just got my copy of Rob Waterhouse’s amazing book on the Tavistock Canal. A real classic of Industrial Archaeology. For anyone who is researching John Taylor, the mining genius, this book is a must. Ask your local bookseller to get a copy, I suspect the hardback copies may soon disappear. If you do not have a local bookseller then here is an Amazon link, but as I write this post none have yet turned up on their site for sale. Now that the Trevithick Society talk is over, it is a chance to pull together the various posts used during its preparation in a list. So if you have a desire to find out more about this 19th century mining genius- here is a few ideas. History is never simple….the story of John Taylor’s involvement in the ‘Cornish Duty Race’ is an example of the truth of this statement. I will resist the onion skin comparison, instead I will resort to the pile of stones image; lift up a stone of historical fact only to discover another one beneath. Keep lifting, keep digging and more facinating stories emerge. Here’s the first stone. Steam engine development was accelerated by the duty race in Cornwall. A simple statement is based on the fact that Cornish engineer’s competed to produce the most efficient engine. It was the combination of the use of ‘duty’ as a unit of measurement and the public arena of Lean’s engine reporters that drove this desire to compete. Duty was a measurement of performance against fuel used, its units were a strange mix:Pounds of water lifted one foot by burning one bushel of coal. Lean’s Reporters were a regular produced publication produced by the Lean family that contained tables of mine engine performance. In their heyday their was much publicity to be gained from being at the top of Lean’s table, and even more from breaking new records of performance. Taylor played a major part in this duty race; a race that lifted Cornish engineering from stagnation to world prominence. Here are some significant stages in the battle. 1811 The reporter is started by Joel Lean, and the battle to be top of the tables commences. 1815 Woolf’s compound engine at Wheal Vor is the first engine to achieve 50m. 1827 Grose’s 80″ at Wheal Towan is recorded at 67m. 1827 Taylor’s 90″ was moved from Wheal Alfred to Consol’s, and renamed Woolf’s, where it returned a duty of 67m, a trial is demanded, one is run. 1828 Grose achieved 87m with his Towan engine, trial is demanded, a trial is run. 1832 Eustace’s 80″ at Wheal Darlington achieves 91m. Many of the other top slots in the table is filled with Hocking and Loam engines built for John Taylor. 1835 West’s Austen’s engine s recorded at 90m, a trial is demanded. 1835 in October William West’s Austen’s engine achieves 125m on a 24 hour trial, a record never broken. 1850s onwards-duties decline the battle is over. 1905 last surviving issue is published. Who won the duty race? This depends on interpretation, Taylor’s Hocking and Loam 85″ was the head of the table for sustainable duty, Austen’s William West’s engine for short term working. History remembers both. The Reporter’s were not Lean’s, and Duty was not Duty. The two foundations of this race are shakey, Duty is far from scientifically sound as a measurement, and the Lean’s did not create the Reporter that bears their name. Duty had a fundamental flaw, bushels was a far from certain measurement. Its size could vary, and many reports did not define the bushel in use. Even when defined, accurate measurement would be a challenge in many circumstances, let alone the discrepancies introduced by wet coal. In addition to this flaw their existed many over opportunities for difference between records. Detailed specifications of recording methods, and assumptions made, were not readily available, resulting in a lack of transparency on the derivation of the results. The basics were straight forward, measure the coal, record the stroke length and use a counter to keep tally of the number strokes made. But outside of this existed many variables that could change the final figure. Even worse was the opportunity for fraud, engine men could perform all sorts of tricks to tweak the duty upwards, such as deliberately short stroking their engines. These flaws became aired in public disputes, arguments and accusations that eroded the faith in the Reporter’s accuracy. When John Taylor’s engineer, Arthur Woolf, moved his 90″ from Wheal Alfred to Consolidated is increase in duty aroused suspicion. When Hocking and Loam’s engines at Consols did not degrade in performance in time, that aroused suspicions. When West Achieved 125 m that triggered heated arguments. When West withdrew all his engines from Lean’s after being accused of mis-reporting his whim engines’ performance, that definitely dented the confidence in the system. Whatever the flaws inherent in the derivation of the figures, the concept of Duty created an spectacular improvement in steam engine technology. Likewise the history of the Reporters is not as simple as their title appears. Although Joel Lean published the first one in 1811, it was Captain William Davey and Captain John Davey who instigated the concept. Joel was chosen to arrange the compiling of the publication, and to put his name to the brand. On its own, this fact is not overly significant to the story, but turn over another stone and it becomes murkier. I must thank Bridget Howard for shining a light under this stone, her book is an excellent read, and the Trevithick Society sell it. John to formed his own reporter in 1827, and none of its mines had Woolf as an engineer. So throughout his period as engineer for John Taylor Woolf was distorting the system that was supposed to be scientifically driving steam engine development. John’s Lean’s revelations left John Taylor in a precarious position. His reputation for honest openness was at threat, to many it appeared that he had colluded in a Woolf’s underhanded activities. Is response was a campaign of justifying the accuracy of the reporting system, and proving the efficiency of Cornish engines. It was a campaign that resulted in many papers and talks. Its culmination was a book called ‘Historical statement of the Improvements made in the Duty performed by the steam engines in Cornwall.’ This book was published by the Lean’s, but it was Taylor’s concept, Taylor’s money was behind it, and Taylor arranged for the society to endorse it. And so the stones of history have overturned, there is much more to explore. But for now this blog has to move on again, after this wander around John Taylor’s life it will return back for a new look at William W est. Click here for a Kindle edition of one of John Taylor’s papers. Here it is, the latest of my historic publication transcriptions on Cornish Mining. In 1814, the mining genius, John Taylor, published a definite description of the ‘Cornish Mining System’, and this new publication by re-produces that important paper in a modern format, and includes additional information from a John Manley. Cornish mining methods dominated metal mining in the 19th Century. Cornwall’s miner’s and engineers exported their skills worldwide, wherever there was copper and tin underground, there was a Cornishman. Alongside the technical skills often came the financial and management systems of Cornish mining, it is those systems that this book describes. John Taylor’s name dominates the history of British metal mining. 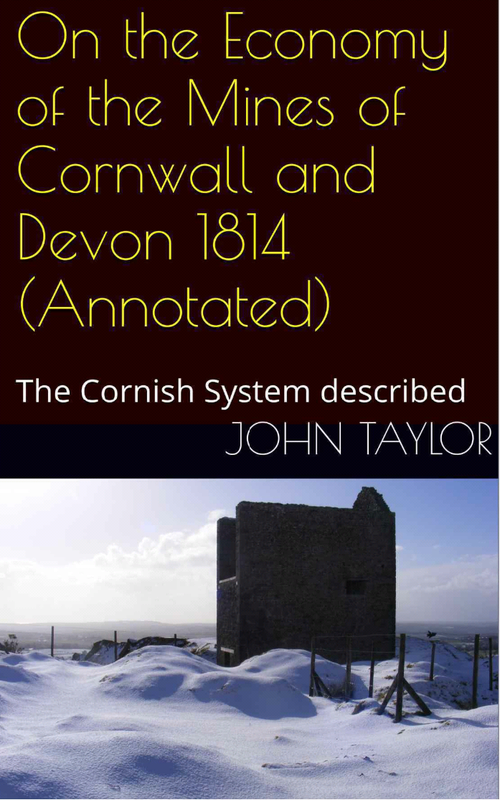 A key part to his success was the use of the ‘Cornish system’, a system that he describes clearly within this book. His words have been supplemented by additional material from the Editor. This short publication is essential reading for anyone wishing to understand the workings of the Victorian mining industry. As this series of posts approaches its closure I finally get to bring William West into the story. He has had some brief appearances, but now the two paths start to intertwine. Among the many Cornish mine’s that came under the Taylor’s control there was a group that merged to form a Taylor dominated district; that was those around St. Austell. These coastal mines had been worked for many years, but from 1810 onwards they enjoyed a huge copper boom that made this district one of the most important in Cornwall. John Taylor was behind this success, the mines of Poolgooth, Pembroke Crinnis and Charlestown becoming very rich after he commenced working them. This was a mine with an ancient history, its workings being active hundreds of years before John Taylor’s arrival. By the 18th century the mine was one of the richest in Britain and its wealth justified the installation of an early 50-inch Newcomen steam engine erected in 1727 by Joseph Hornblower. As technology moved on the engine was replaced in 1784 by a 58-inch Boulton & Watt engine. Taylor again updated the steam power in 1823 when he installed an n 80-inch William Sims engine. From 1846 William West built several engines at the mine, some of which were built at his foundry in St. Austell. Pembroke Mine was started before 1815 by John Taylor and worked until 1877. For a while he was very successful, becoming the second largest mine in the county. The very last, though not the least, mining work on which he was engaged was the taking down of an 80″ engine at New Pembroke, making good all the repairs, and refixing, with other additional machinery, at the Great Holiday(sic) Mines Flintshire”. This mine was originally known as Crinnins Cliff Mine which dated from 1811. It rapidly became a large producer of copper, 10,000 in 1812 and 40,000 by 1816, and all at shallow depths. This spectacular performance encouraged an influx of investment into the area, its copper reserves proved that significant amounts of ore could be found in the eastern half of Cornwall. Unfortunately it quickly exhausted its reserves , its mining boom was short lived. It closed temporarily in about 1833, and reopened again in 1854 as Great Crinnis. After another closure it ended its life in the late 1870s as Great Crinnis and Carlyon Consols. This John Taylor controlled mining district had a rival to the east. As the coastline turned towards Par Harbour it entered was Jospeh Austen’s ( latet Treffry) domain. 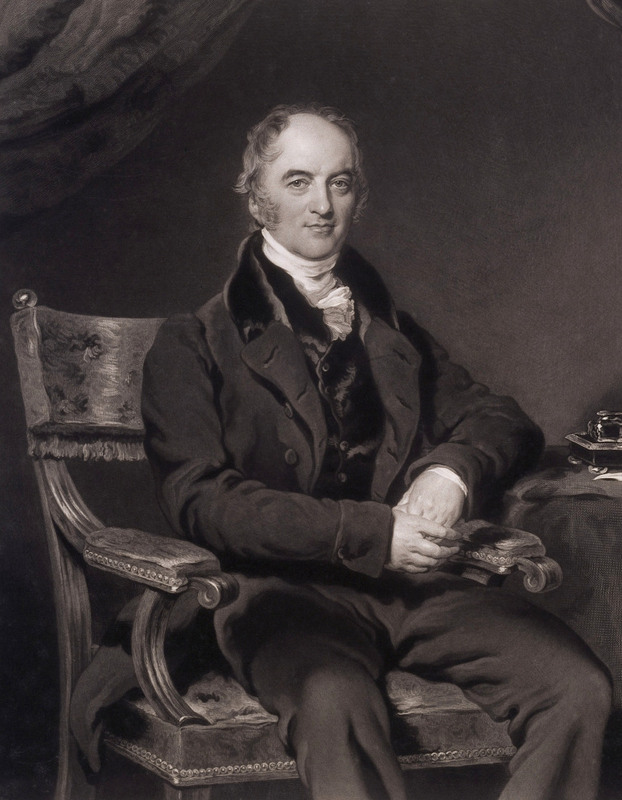 Austen was an industrialist whose business empire in many way’s resembled Taylor’s. He also had canals and railway’s built, he also owned many mines, and he also used heavy investment in technology. Austen and Taylor’s rivalry found outlet in the arena of the battle of the duties. This was the drive to produce the best performing steam engine, a battle which Taylor was at the fore with his consolidated engines. Austen was determined to own an engine that would out perform any of Taylor’s. From this desire William West’s famous ‘Austin’s’ engine was born……but that is of course another story.